Spending a day in the surf? 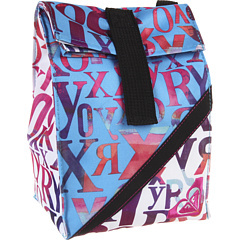 Then tote your lunch to the beach in this Roxy Lunch Sack. 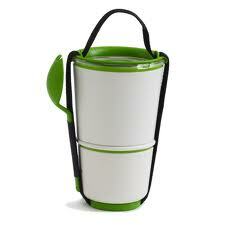 The insulating fabric keeps your lunch cool, and it comes with a useful carry handle too. Whether you’re running out of the door with your granola and yogurt, or pasta and fruit salad, this clever pot duo with its water-tight seal will keep your food fresh until you’re ready to chow down. USD23, www.black-blum.com. Black + Blum products are also available at Adventure HQ in Dubai. Brown bagging is so over… blue, grey, lavender and yellow bagging is so now. We’re loving these silicon, reusable lunch bags from Unikia. 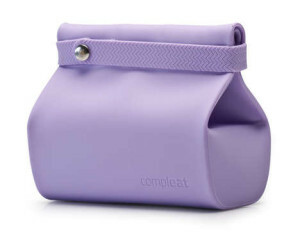 Just fill one with your goodies, roll down the top, then fasten it securely with the belt. Then toss it into the dishwasher when you get home. Eco queens will love this bright pink lunch box made from recycled aluminum. If you buy it not only are you able to save the planet, but if you’re also clumsy like us, you’ve got a better chance of protecting your chicken wraps too. 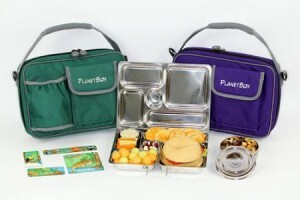 If you struggle with portion control, get your hands on one of these bento boxes. Featuring five different compartments, the Planet Box Lunch Bag encourages to curb your portion and include a wide range of healthy items. 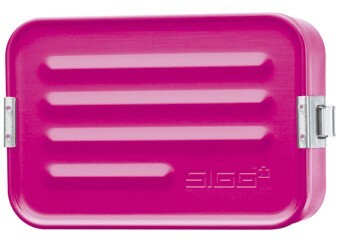 Once you’ve filled the tray, you then close it and slip it into the slim cooler bag. We like.